December 29, 2017 — A Hong Kong registered vessel has been seized in South Korea, after it was suspected of violating UN sanctions by trading oil with North Korea. Arirang News reports Seoul government officials as saying that the ship, named Lighthouse Winmore, came into Yeosu Port on November 24, where it was detained and inspected by customs officials. The ship is thought to have transferred some 600 tons of oil to a North Korean vessel, the Sam Jong 2, in international waters a month earlier, on October 19. December 28, 2017 — The 14 m x 4.2 m catamaran passenger vessel Hydroville launched last month by Antwerp maritime group Compagnie Maritime Belge is the first Lloyd’s Register classed vessel to use hydrogen to fuel a diesel engine. The concept of hydrogen injected diesel engines is not covered by standard LR rules, so a risk based design approach to approval was required. December 27, 2017 — GD NASSCO’s Norfolk Ship Repair, Norfolk, VA, has been awarded an $83,079,259 contract for the execution of USS Mesa Verde (LPD 19) fiscal 2018 docking phased maintenance availability. The contract includes options which, if exercised, would bring the cumulative value of this contract to $98,259,279. Work will be performed in Norfolk, Virginia, and is expected to be completed by May 2019. December 21, 2017 —Jeanerette, LA , headquartered shipbuilder Metal Shark has set its sights on the pilot boat market with a range of custom-configurable pilot offerings and two new pilot boats currently under construction. Metal Shark is currently building a 45-foot Defiant Pilot Boat for the Virgin Islands Port Authority at its Jeanerette production facility. At its 25-acre shipyard in nearby Franklin, LA, Metal Shark is building a 64-foot Defiant Pilot Boat for the Brazos Pilots Association of Freeport, TX. 21st Dec 2017: Being ole fashioned, we wish our readers Merry Christmas and a Happy New Year, none of this Happy Holiday business here. December 20, 2017 —Ms. Sabrina S. M. Chao, Executive Chairman of Wah Kwong Maritime Transport Holdings Ltd. has been named as the Connecticut Maritime Association (CMA) Commodore for the year 2018. The CMA’s Commodore Award is given each year to a person in the international maritime industry who has contributed to the growth and development of the industry. 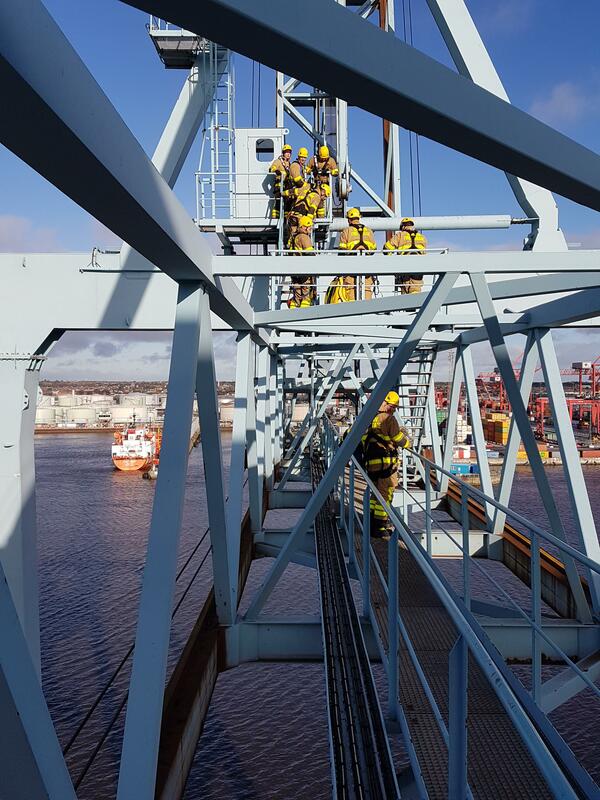 Dublin firefighters scaled 110ft high cranes at the Dublin Port last week to play out real life situations as part of an ongoing height training programme. December 19, 2017 — Q-LNG, LLC, has selected ABS to class its recently ordered LNG bunkering Articulated Tug Barge (ATB). The vessel is scheduled to begin construction at shipbuilder VT Halter Marine in Pascagoula, Mississippi, in early 2018. The LNG bunker barge, with 4,000 cubic meters LNG capacity, will be owned and constructed by Q-LNG while the operations will be handled by New Orleans-based Harvey Gulf International Marine. The barge will be chartered by Shell, and will supply necessary LNG fuel to cruise vessels throughout the Southeast Coast of the U.S. 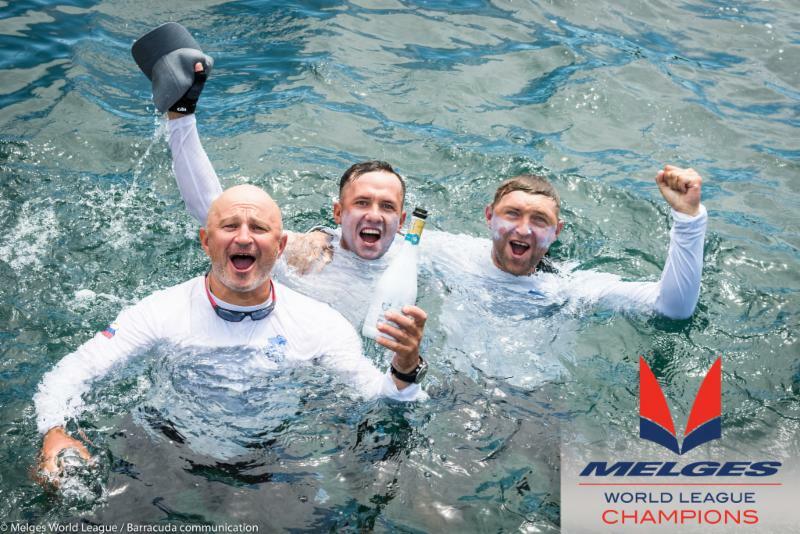 Inside Melges. The December Issue.